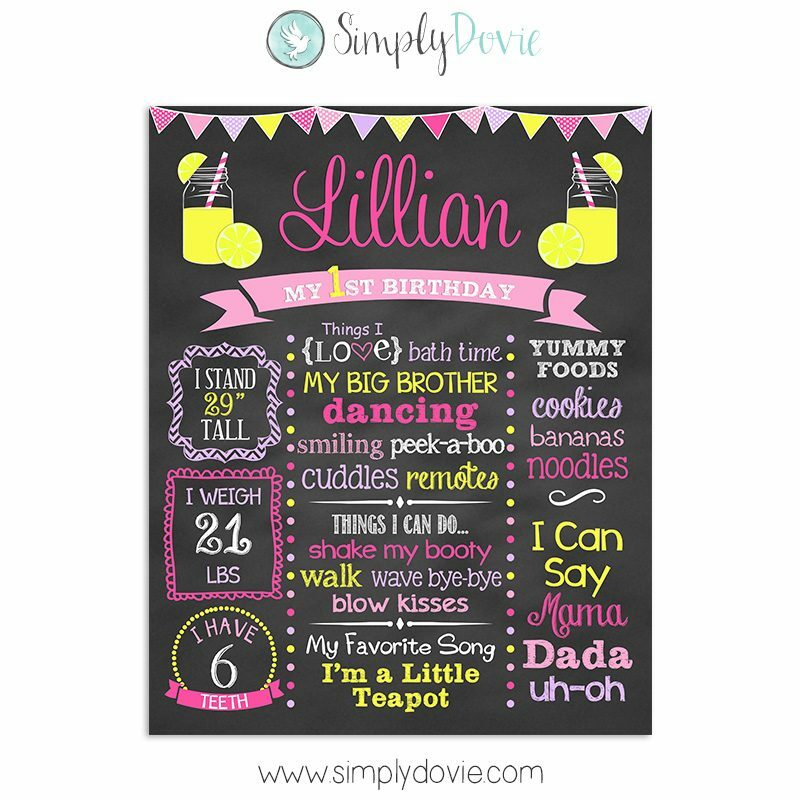 This Lemonade Birthday Chalkboard Sign is so darling and will be adorable displayed at your little girl’s birthday party. This will go perfectly with a summer or lemonade themed birthday party. It will be personalized with your personal information that you provide. Available in digital file format for self printing or Giclée print. 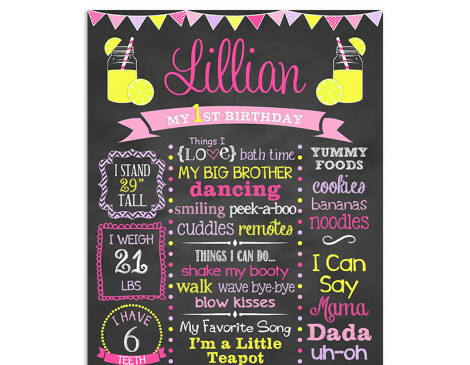 The Lemonade Birthday Chalkboard sign is a custom product so it will be unique to your information that you provide. We may use different fonts or font sizing to best fit your information.